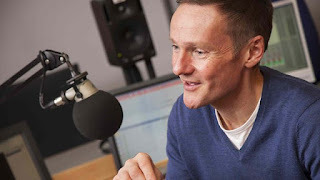 When I recorded the BBC local radio evening show on this day last year it had already been announced that Mark Forrest was stepping down, to be replaced in February 2017 by Georgey Spanswick. Since then the DG has recently announced that the networked evening show will be dropped from next summer and local shows will return. Little has been heard of Mark since he left the show though I did catch him read the news on Radio 3 in September.